Love Your Heart: Steps You Can Take for a Healthier Heart and Happier You! Do you ever stop to think about the importance of a healthy heart? We often overlook the significant role our hearts play in our everyday lives. Essentially serving as a power supply for our bodies, our hearts work around the clock, beat by beat, twenty-four hours a day! So, love your heart and read on for seven tips you can incorporate into your lifestyle to ensure a healthier heart for years to come! Switch out the sweets for healthy treats. The month of February is sure to be filled with chocolates and other sweet treats. Try to indulge in moderation by swapping out the candy for fruit, like strawberries or blueberries, when you feel a craving coming on. And don’t forget to incorporate your serving of vegetables! The American Heart Association recommends filling at least half your plate with fruits and veggies to make it to the recommended 4 ½ cups of each per day. Maintain a healthy weight. When you maintain a healthy weight, your body can circulate blood more efficiently. You are also less likely to develop diabetes, heart disease, and other health problems. Stay active. 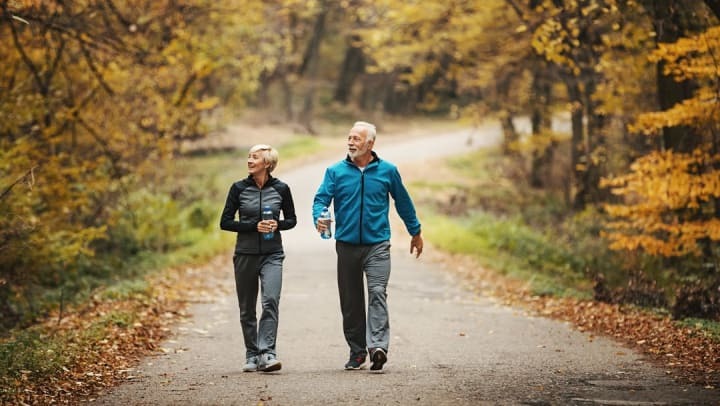 Not only does staying active help you maintain a healthy weight, but it also lowers your blood pressure, improves your blood flow, and increases your self-confidence. Don’t smoke. Also, avoid second-hand smoke at all costs. Smoking puts you at high risk for heart disease and stroke. Check out American Heart Association’s five tips to help quit smoking. Make sure that you get enough sleep. Sleep keeps your heart healthy, and most adults need at least seven hours of sleep each night. Lack of sleep and fatigue can lead to high blood pressure, one of the leading precursors for heart disease and stroke. Manage your stress levels. Elevated levels of stress can contribute to behaviors and factors that are conducive to heart disease, such as overeating, inactivity, smoking, increased alcohol consumption, sleep deprivation, and more. When you are feeling stressed, try working out or relaxing your muscles by stretching. You can also unwind while enjoying a massage, a hot bath, or a good night’s sleep. At Avenida Partners, our Five to Thrive resident enrichment program makes it easy to participate in some of the activities that help to contribute to a healthy heart and active lifestyle. Our wellness calendar offers a myriad of classes, programs, and events that address key areas of healthy aging. Combined with other healthy activities, this practice will surely add to your health and vitality!